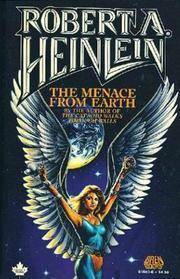 Baen Books, 1987. Mass Market Paperback. Good. Disclaimer:A copy that has been read, but remains in clean condition. All pages are intact, and the cover is intact. The spine may show signs of wear. Pages can include limited notes and highlighting, and the copy can include previous owner inscriptions. At ThriftBooks, our motto is: Read More, Spend Less.Dust jacket quality is not guaranteed. U.S.A.: Baen, 1987. Wraps have only light wear. Pages are clean with no markings in text. Mass Market Paperback. Good. 12mo - over 6¾" - 7¾" tall. 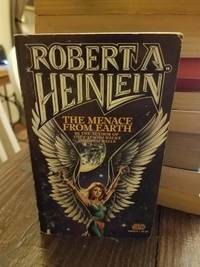 New York, NY, U.S.A.: Baen Books, 1987. First Paperback Printing. Mass Market Paperback. Good. Brief summary of content available upon request by e-mail. Baen, May 1987. Mass Market Paperback. Good. Moderate cover wear, firm binding, unmarked text. Baen, 1987. Mass Market Paperback. Good. Paperback. Sound & good copy, light to moderate rubbing/edgewear to wraps. Baen, 1987. Mass Market Paperback. Fair. Paperback. Sound & good copy, light to moderate rubbing/edgewear to wraps, thumbing wear, stamped, lean to binding, tape at base of spine. Baen, May 1987. Paperback. Good - Trade. Stock photos may not look exactly like the book. Baen Paperback Edition - First Printing. Baen. Used - Very Good. Very Good condition. Baen, 1987. Please email us if you would like further information or if you would like us to send you a picture of the book. Thanks for looking!. First Thus 1st Printing. Mass Market Paperback. Good. Illus. by John Melo. 16mo - over 5¾" - 6¾" tall. New York: Baen Books, 1987 Very little wear whatsoever. Quite clean. First Baen printing, May 1987. 271 pages. Baen. MASS MARKET PAPERBACK. 0671656406 Like New Condition. . Fine.